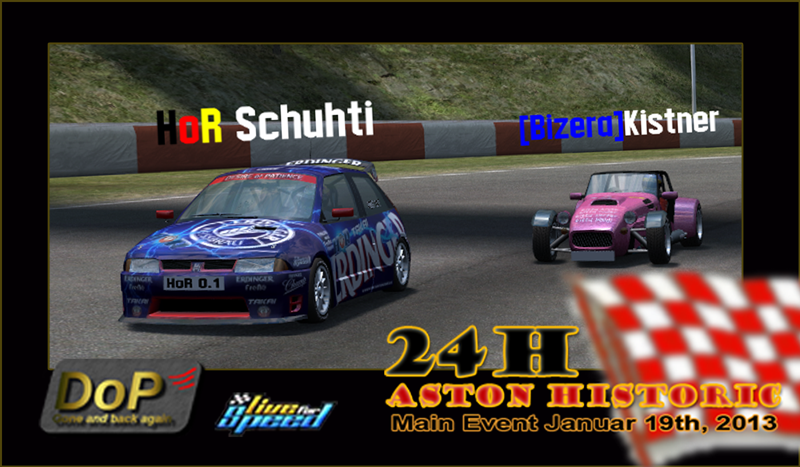 The BurnoutCrew invites you for having a nice and thrilling special 24h racing event! May be, you never forget. So be part of it! You're welcome! * please, take care of your common team tag. That's important! * if your team will participate, you have to sign in. The first participant / founder of a team is automaticly the teamleader and may handle some team-specific things. The teamleader chooses the team-tag and the car-class. The car is selected by the driver doing some laps on the qualification server. Changing car won't be possible afterwards. If the team-leader leaves the team, another team-mate becomes the leader. If the last member leaves, the team will be deleted from the database. -> and afterwards you have to leave immediatly the server! * Drivers must not join another team while race! alot of teams have young members tbh but not all of them are immature. Sorry but if there's an age limit my team will not be participating. There's always been that age limit afaik, so prolly it will remain the same. Yeah it was there last time aswell. Quote from reigga : There's always been that age limit afaik, so prolly it will remain the same. The age limitation has nothing to do with beeing mature or not. It's more about german youth protection act. To fit the law we decided to add this rule. If the 14-year old boy is mature enough and interested in driving the 24h, he will find a simple way to be part of it. is there any skin rule? What will be the main communication channel? 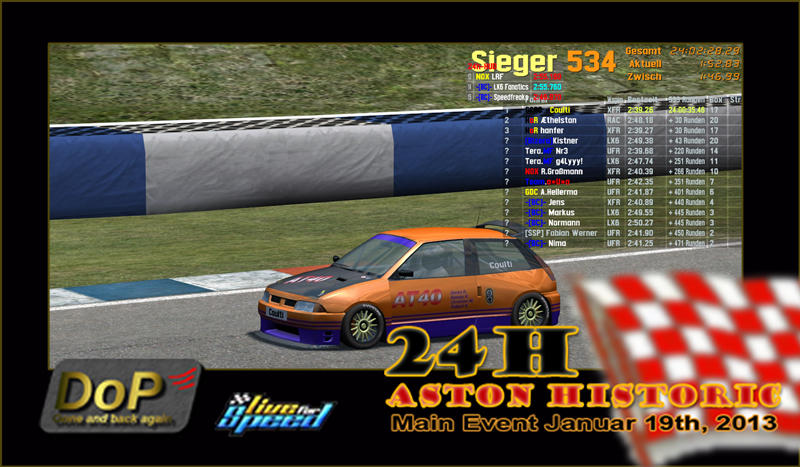 and do you use TS Server as it was DoP2010 24h race? Yes, we use TS. Visit our Main HP www.burnoutcrew.net and right hand you can see our TS. Each team got their own channel(s) there. How to save your race! Be on track 30 min before start! 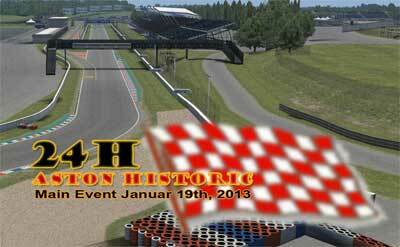 * only the start drivers of each team are allowed to join! For driver changes join the server as late as possible. After the change leave the server immediately to give the other team a chance for a change, as you would like to have too. 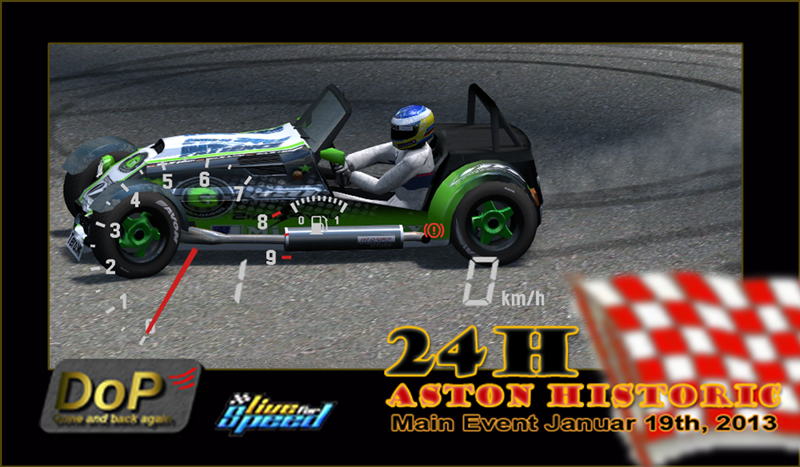 * You will not win a 24h race in the first lap, even not in the first or second corner! * Respect competition and smaller car classes! * Smaller car classes than yours are owner of the racing line! * Smaller car classes have to notice blue flag, too! * Careless overtaking endangers other teams, so drive clean and fair! * Otherwise a 'Drive-through-penalty' may be given! Admins are on track. We'll start in two groups. At first N-GTR starts with Racing Green at first, even the racing light is green. 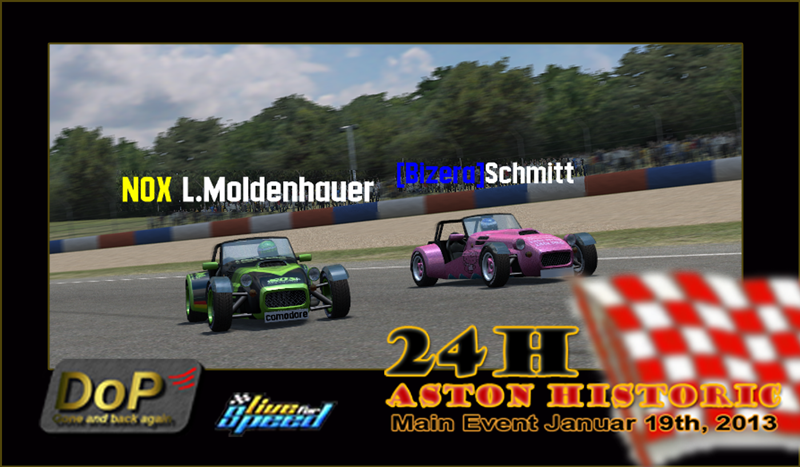 The 2nd Group, the LRF Class will start their race after Green Flag given through chat, after 10 to 15 seconds later given from Raceadmin. Wir starten in zwei Gruppen. Zuerst die N-GTR Klasse, klasssisch mit der Rennampel sobald diese auf Grün springt. Die zweite Gruppe, die LRF Klasse startet ihr Rennen 10 bis 15 Sekunden später mit einem Green Flag aus dem Chat vom Rennadmin. Selbstverständlich werden Frühstarts der zweiten Gruppen nach Sicht mit einer Durchfahrtstrafe belegt. Startet ein LRF Team trotzdem mit den N-GTRS gibt es eine 10 Sekunden Stop and Go! Last edited by KlausAdam, Fri, 18 Jan 2013 20:46 .
what is the tracker address? http://78.111.71.32/BurnoutCrew/DoP/ this one I would think, at least I still got that in my history from previous years. * [Bizero]Kistner didn't let room for GDC D.Easton. Driving out of track and loosing time. *On lap 97 [Bizero]Kistner don't hold is line and almost take GDC D.Easton out. We'll have a look at this, after the race. [Bizero]Kistner was admonished at this time and hopefully takes more care next time. all are mostely in German and non of those have commentary. Many Thanks to all participants, racers and winners! with the best continous speed. Congratulations! Really the best of the rest! with a fantastic speed over the whole 24 hours. Incredible and Congratulations, too!! 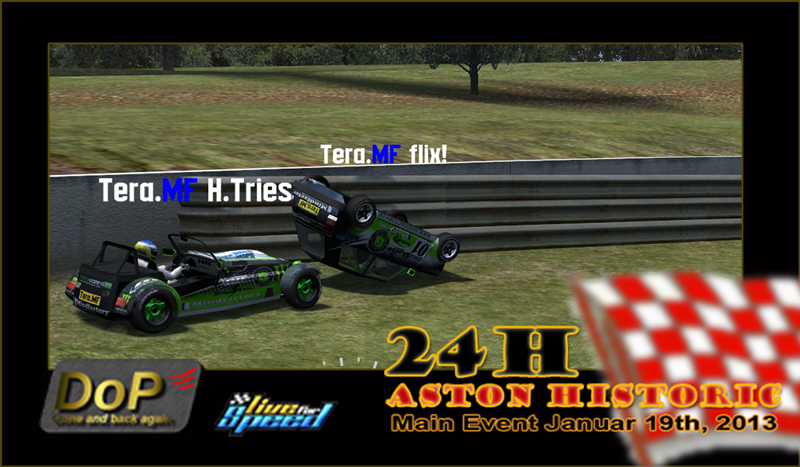 I think it was a great race and a big event without any technical fails: LFS, Tracker and Servers worked fantastatic. Many, many thx to Klaus Adam for these tools and infrastructure. 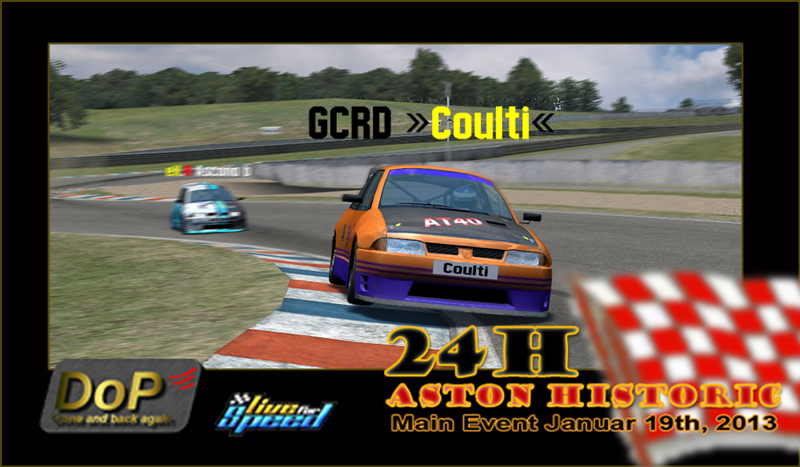 BTW we have had (therfore every 24h DoP in the past) our BC team meeting with more than 12 members of our BurnoutCrew. 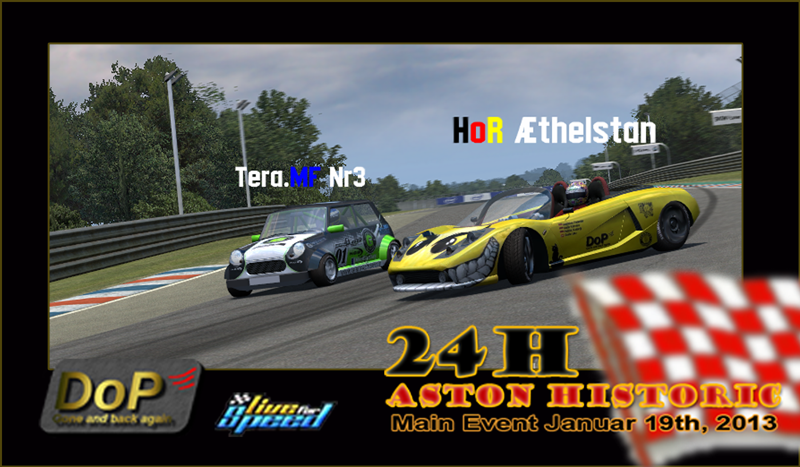 A very funny and successfully 24h event with friends, too. Over so many years now. Really great, too! Last edited by Webflat, Sun, 20 Jan 2013 19:05 .